The folks over at iFixit are hard at work dissecting the newly announced iPhone 4S. While many users have already solidified their performance suspicions, a teardown and tour inside the smartphone will allow enthusiasts to to confirm their expectations. First is the Qualcomm MDM6610 baseband, a slightly different part from the MDM6600 that many expected. While the device was rumored to sport 1GB RAM, the device’s A5 chip runs at 1GHz and includes a mere 512MB RAM. 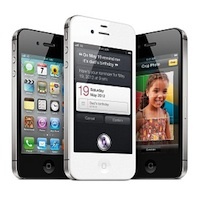 Hopes of a higher resolution display were dashed, too, with confirmation that the iPhone 4S uses the same retina display used in the iPhone 4. Apple’s retina display is still impressive, so there isn’t much room for users to complain. The iPhone 4S officially goes on sale tomorrow. The 16GB model starts at $199, the 32GB model at $299, and the 64GB model at $399.